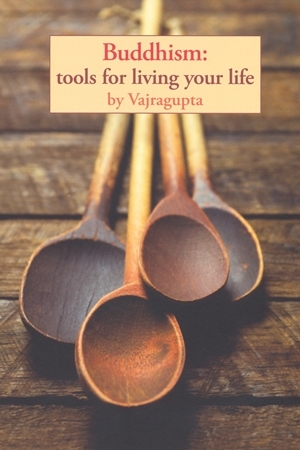 In Buddhism: Tools for Living Your Life, Vajragupta gives clear explanations of Buddhist teachings and guidance on how to apply these to enrich our busy and complex lives. A perfect guide for those seeking a meaningful spiritual path whilst leading busy, modern lives. The perfect guide for those seeking a meaningful spiritual path whilst leading busy, modern lives. Vajragupta gives clear explanations of Buddhist teachings and guidance on how to apply these to enrich our busy and complex lives. The personal stories, exercises, reflections and questions in this book help transform Buddhist practice into more than a fine set of ideals. They make the path of ethics, meditation and wisdom a tangible part of our lives. I’m very pleased that someone has finally written this book! At last, a real ‘toolkit’ for living a Buddhist life, his practical suggestions are hard to resist!